The Federal Government have released their latest home care data report and the news isn’t great for those on the national home care package queue. Despite the government releasing an additional 41,993 home care packages in the March quarter (January 1 to March 31, 2018), it hasn’t been enough to keep up with the rising demand for home care. There are now 108,456 people on the national home care package queue – a 3.7% increase on the previous quarter. 54,821 of those on the queue are receiving services at a lower package level, but are still waiting to receive services at their assessed care level. This represents a 14.4 per cent (6,898) increase on the December 31, 2017 figure. The report details that those eligible for a Level 4 package will first receive a level 2 package with an estimated waiting time of six to nine months. They will then have to wait more than 12 months for their level 4 package, leaving those with the highest care needs vulnerable to not receiving adequate care for 18 months in a best-case scenario. A further 53,635 people on the queue were still waiting to be assigned a home care package. Of those, it is estimated that around half were accessing CHSP services – giving them access to entry-level support around the home. During the March quarter, there were 31,240 new approvals for home care, showing that the new packages entering the market are struggling to keep pace with new people entering the queue. Of the 41,993 new home care packages released during the March quarter, 82.2 per cent of these were released to those who had not been assigned a package and 17.8 per cent went to those who were previously assigned a lower level home care package. While the home care queue is growing, so too are the number of approved home care providers in the market. There are now 853 approved home care providers as of 31 March 2018. This represents an increase of 5.8 per cent. This gives consumers more choice, but it can make it harder to choose a home care provider. With so many people on the home care queue, the question needs to be asked what are the options for those waiting for a home care package to support them in staying in their own home? For many people in the queue, family carers would be stepping up to deliver the care needed to help their loved one to stay in their own home. While this is a workable situation for some families, for many it’s not a long-term solution as carer fatigue is rife for those juggling caring responsibilities with employment and dependent children. 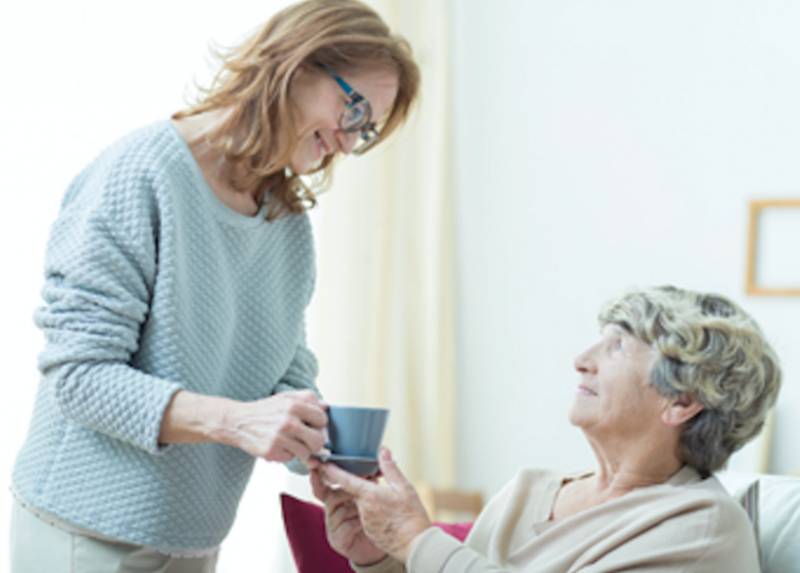 Another option is to engage a home care provider on a private basis and pay per service to help bridge the gap between family care or a lower level home care package. While this option depends on funds you have available, it can be a workable and affordable solution in the interim. If you own your own home and receive the aged pension, the pension loan scheme may be an option to unlock some of your home equity to fund care. For some people waiting on higher level home care package, staying at home may no longer be a viable option. In this case, it may be worth looking into aged care communities or residential aged care facilities in your area. While this may seem a last resort for those wanting to remain living in their own home, it’s important to access all available options to ensure they are getting the best in care. For some people with limited social support, a move to an aged care community could improve their health and wellbeing. What can we learn from the home care queue? With the national queue showing no signs of improving, it’s important for older people living at home to access the My Aged Care system at the first sign of them needing some extra help. With waiting times of more than 12 months in some situations, it’s better to get in before a major health crisis hits. It’s also important to have an aged care conversation with your family to discuss your care wishes, how care might work and perhaps putting away some funds for care needs. Many people leave these discussions until after they’ve had a health scare, which can mean that they won’t always get care that suits their preferences. Planning ahead – particularly when facing a long home care queue – can make all the difference.